Okey Ndibe‘s comment above reflected on the absence of acknowledgement for Africa and Africans in terms of a different global war, World War 2. Yet I have reproduced it here because the anglocentrism that Ndibe found so confounding also dominates commemoration of WW1. This is depressing, as much for what it says about failures in British history studies, as for my own enthusiasm for well told global and transnational histories. However, there are resources across the web that complicate and challenge this British-dominated picture. These moves can be seen as part of a shift in research on WW1 that includes the role of Chinese and Asian migrants, for example. 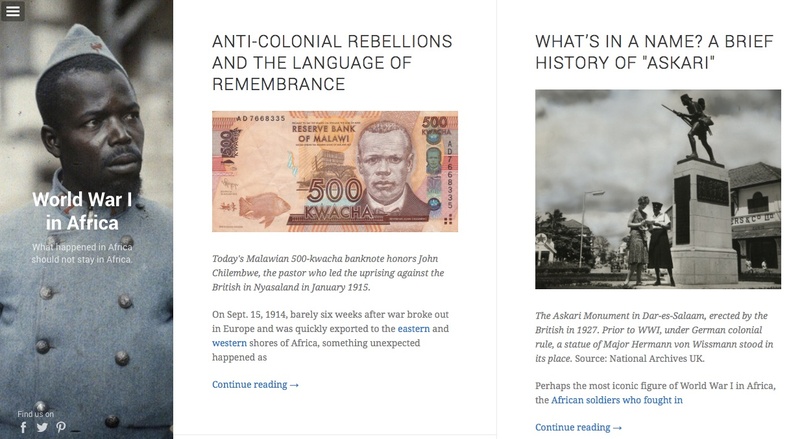 This post highlights resources for exploring African experiences of WW1, given the deluge of material marking 1914-2014. Les Alliés – soldats français, italiens ou américains – sont absents de cette enquête. Faut-il voir là un signe de la conscience aiguë de sa singularité – sinon de sa supériorité – qui habite obstinément le Royaume-Uni ? So the ‘global view’ mapping project as part of the (UK) National Archives resources, which incorporates images of original documents held in the archives. Caution may be required as some of the descriptions of events and people still reflect then-contemporary ideas and attitudes to Africa and Africans. In contrast to these narratives which tell stories about Africans experiencing war on the continent itself, the story of the sinking of the SS Mendi took place off the British coast. Over 600 men, members of the South African Native Labour Corps, lost their lives due to what was later determined to be the dangerous actions of another ship in thick fog. Controversially, this ship launched no lifeboats to rescue those shipwrecked. 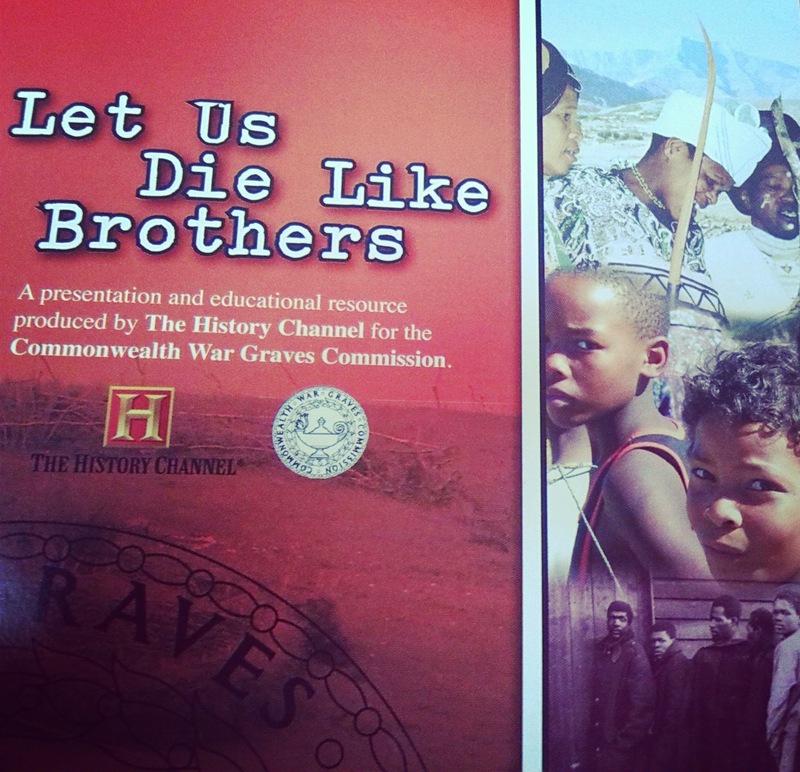 Despite years of obscurity, it is now possible to visit memorials in South Africa, France and the UK to those who died. This site includes moving images of the wreckage, and an educational resource is available to order (see below). Those who died are also named on this online tribute page, a powerful naming project, given that so many of the individuals in African regiments that form part of the Lives of the First World War Project at the IWM have only a first name, and in many cases even these appear to be imposed nicknames. In light of current zeitgeists — a morbid obsession with the past in Europe, an unfeigned disdain for anything but the future in Africa — we believe the Centenary to be a fertile common ground for investigating the present. 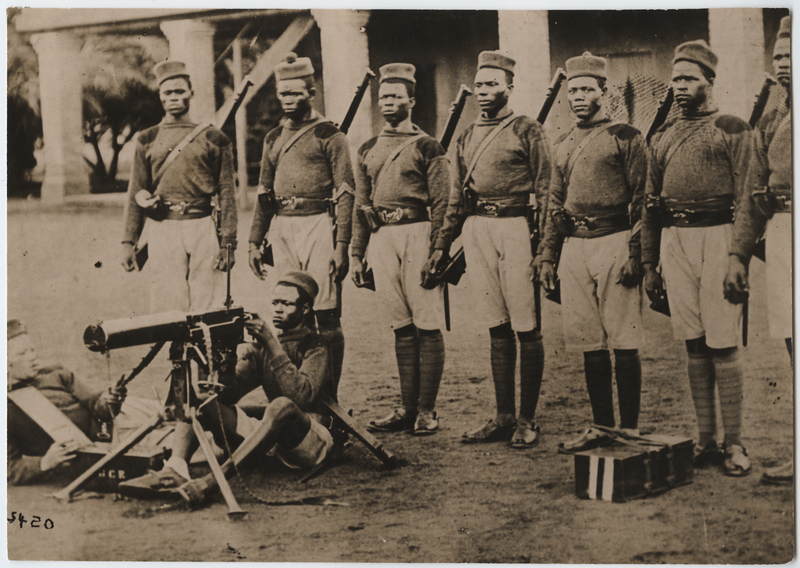 The Great War in Africa association, includes a range of links and events for those interested in discovering more. The Cameroon Campaign provides another excellent example of what Dr.Hastings is talking about here. 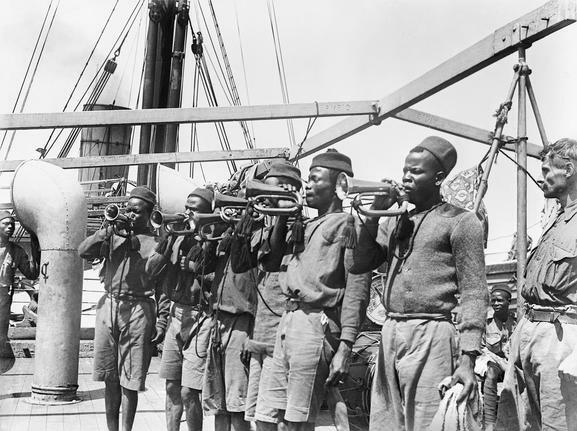 Thousands of Africans served as soldiers and carriers and mariners on both the allied and German sides. If you read between the lines of the British accounts you realize that many poignant stories have gone untold. Many brutal ones as well. Thanks for your comment – I’d be interested to hear more. The BBC videos (although a great start) only scratch the surface of experiences in German-occupied Africa during the conflict. Please do contact us at africainwordsATgmail.com if you have any suggestions of how we could explore this in more depth. We have a collection – unlisted at present – relating to a Cardiganshire family, a member of which served in Africa during WW1. There are photographs in albums, many of them captioned. The reference number is of the collection ADX/1023. If you are ever in Aberystwyth, please come and look at it. The collection is being added to as material is digitised and copyright permissions obtained, where necessary. Currently the collection includes a ‘Photograph album of soldiers in barracks, France, Egypt, Jordan and Dhama [now in Pakistan], c1914-c1918. You can view the full album online at the above address, the reference number is D5063/3/7. Union of South Africa from 1914. Patrick Vernon and Arthur Torrington are continuing with their discussion with the IWM about all that is missing from their exhibition/publications.